﻿ How is silica sand processed? 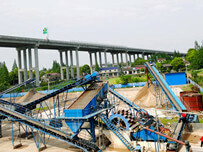 Location: Home » NEWS » How is silica sand processed? How is silica sand processed? Silica sand, widely known as silica or quartz sand. It is a kind of refractory particles with quartz as the main mineral component and particle size of 0.020mm-3.350mm. 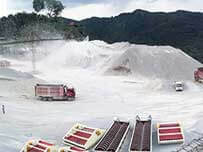 According to different mining and processing methods, it is divided into artificial silica sand and washed sand, scrub sand, and selected (flotation) sand. Silica sand is a hard and wear-resistant silicate mineral with stable chemical properties. Its main mineral component is SiO2. The color of silica sand is milky white or colorless and translucent. Its hardness is 7. It is brittle and non-clear, shell-like fracture. Grease gloss, relative density of 2.65, its chemical, thermal and mechanical properties have obvious anisotropy, insoluble in acid, slightly soluble in KOH solution, melting point 1750 °C. The colors are mainly milky brown, white, light yellow, gray, and the silica sand has high fire resistance. Silica sand is widely used in Glassmaking, Metal Casting, Metal Production, Chemical Production, Construction,Paint and Coatings, Ceramics & Refractories, Filtration and Water Production, Recreational Products and Oil and Gas Recovery. Quartz sand beneficiation process is mainly to purify, remove a small amount or a small amount of impurities in quartz sand, and obtain a difficult separation technology of refined quartz sand or high-purity quartz sand. The domestic and international quartz sand purification processes mainly include water washing, grading de-sludge, scrubbing, Magnetic separation, flotation, acid leaching, microbial leaching, etc. 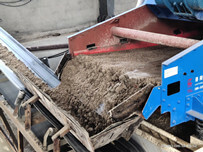 Scrubbing is to remove the thin film iron and muddy impurity minerals on the surface of the quartz sand by mechanical force and the grinding and stripping force between the sand grains, and to further smash the unassembled mineral aggregates, and then further improve the quartz sand by the classification operation. There are two main methods: rod scrubbing and mechanical scrubbing. The separation of mica and quartz is difficult, and it can be obtained by using an anion collector under acidic conditions or an anion-cationic collector under alkaline conditions. Generally, after scrubbing, deliming, magnetic separation and flotation, the purity of quartz sand can reach more than 99%, which basically meets the demand of industrial sand. Dilute acid has a significant effect on the removal of iron and aluminum, while the removal of titanium and chromium is carried out by acid leaching with concentrated sulfuric acid and aqua regia. 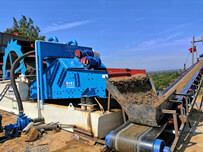 Usually, the mixed acid composed of the above acids is used for acid leaching of impurity minerals. except. The control of various factors of acid leaching should be based on the final grade of quartz, to minimize the acid concentration, temperature and dosage, in order to achieve quartz purification at lower ore dressing costs.